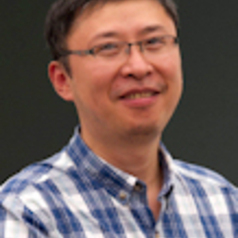 Yijun Yu graduated from the Department of Computer Science at Fudan University (B.Sc. 1992, M.Sc. 1995, Ph.D. 1998). He was a postdoctoral research fellow at the Department of Electrical Engineering in Ghent University (1999--2002), then he worked as a research associate at the Knowledge Management lab of the Department of Computer Science in University of Toronto (2003-2006). Since October 2006, he has become a Senior Lecturer at the Department of Computing and Communications in The Open University. He is a member of the IEEE Computer Society and the British Computer Society. His recent research is all about changes to do with software systems: changes at development time ("evolution"), changes at runtime ("adaptation"), changes among viewpoints ("meaningful"), changes to stakeholders ("requirements"), changes to the attack/defense ("security"), changes to the interests disclosure ("privacy"), and the bidirectional synchronisations of various kinds of changes ("invariant traceability"). He is currently working on an EU project, SecureChange, analysing security requirements for air traffic control, and is involved with the Adaptive Security and Privacy (ERC Advanced Grant), with ATC as one of the application domains.